I’m usually pretty consistent with my Monday morning blog posts, so big apologies for missing yesterday – unfortunately, being knocked out with a migraine most of Sunday wasn’t real conductive to blogging time! 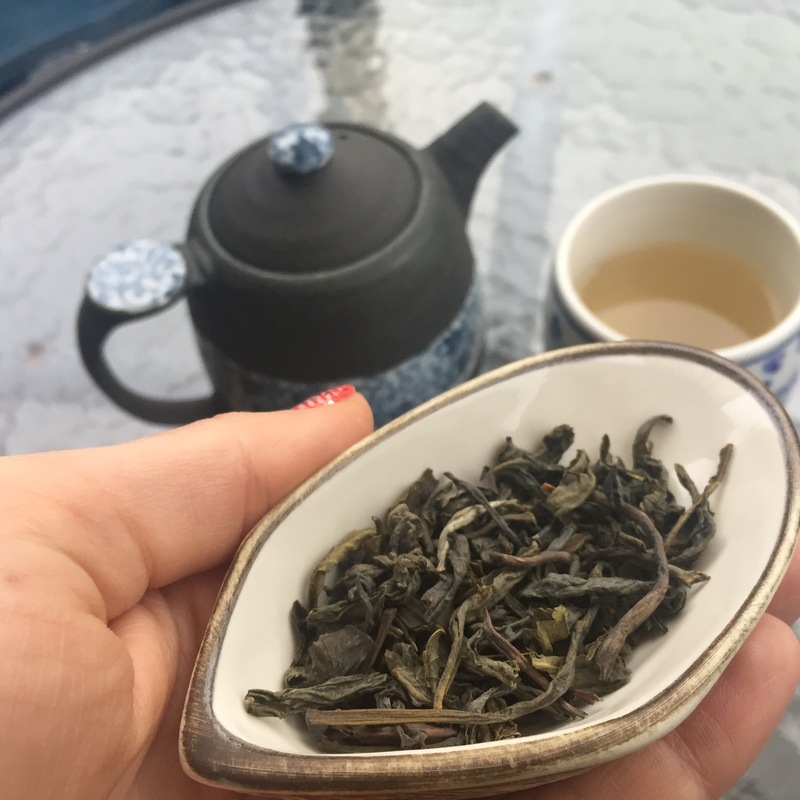 It did make for a good excuse to rest and drink tea, though, so I thought that’s what I’d post about this morning – my favourite green tea purchased from Vietnam 🙂 Someone asked me after I got back from Vietnam if I did much shopping and what I bought over there. When I told them I’d pretty much just bought a whole lot of tea, they looked a little perplexed; what they didn’t know was that tea has been my souvenir of choice for a few years now. 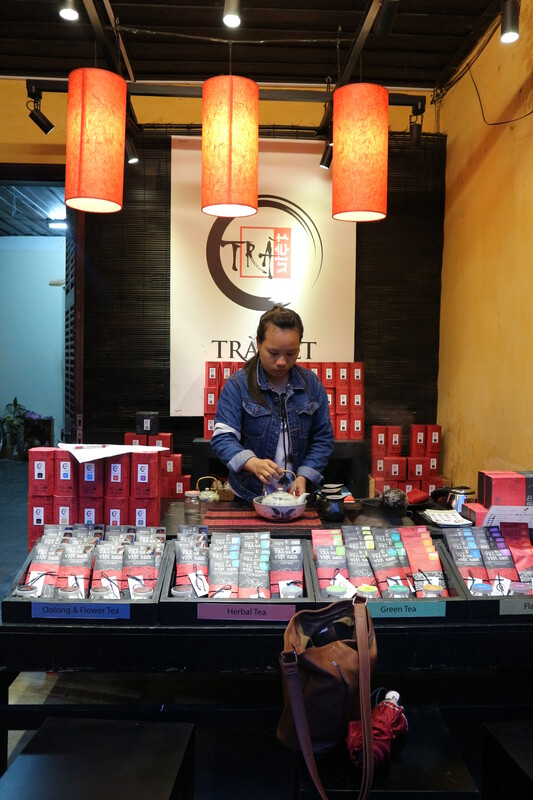 It’s incredible how making and sipping on a pot of tea you’ve made with tea leaves you bought in a market in Chicago or on the side of a street in Hoi An or at a cute little café in New York can bring all of those good holiday memories and feels flooding right back 🙂 So, when I spotted the little Trà Viêt tea stall set up on the street in Hoi An, I was like a moth to the flame. This lovely lady kindly let me choose a variety of tea to try, and took us through a little tea ceremony, demonstrating exactly how to brew the tea I’d chosen – a pandan ginseng green tea. Turns out that the best way to brew this particular one is to add the leaves into the pot, and fill with water at around 80°C (or, roughly 1 part cold water to 4 parts boiling). Pour the water out immediately, and refill the pot again, steeping the leaves for no more than a minute. Sounds so lovely! Love discovering more about the tea culture with you. Gosh, I still have so much to try in life 🙂 One cup at a time… Enjoy your travels.